So who is this remarkable woman? 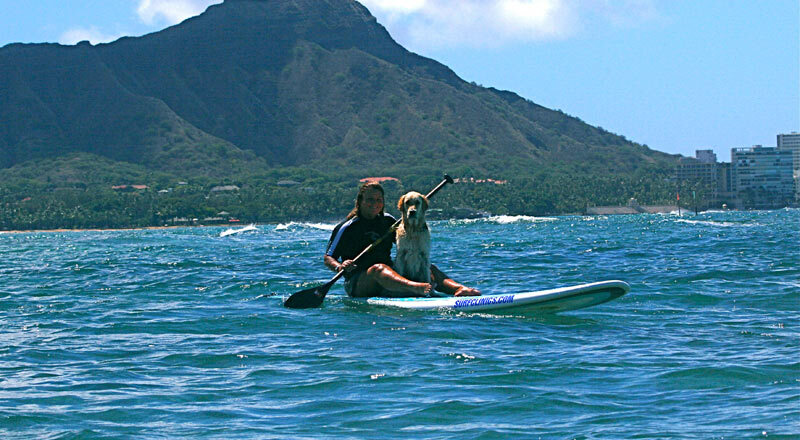 Surf Champion and living legend, pioneer Woman's World Tour competitor: Hollywood stuntwoman, film producer, location manager, professional lifeguard, surf teacher, coach, businesswoman, friend, mentor - there are many ways to describe Nancy Emerson. "However, 'Waterwoman' is what strikes you when you see her paddling out across the glassy swell, carving her way down a gnarly wave, or walking across the sand with her golden retriever Apache. With her sparkling eyes, effervescent personality, tan, and blonde hair, Nancy looks as though she not only was born in the ocean, but that she has saltwater running through her veins. Beneath Nancy's California-girl looks, there's intelligence and a great sense of humor that make her personality, like her surfing, stand out from the pack." 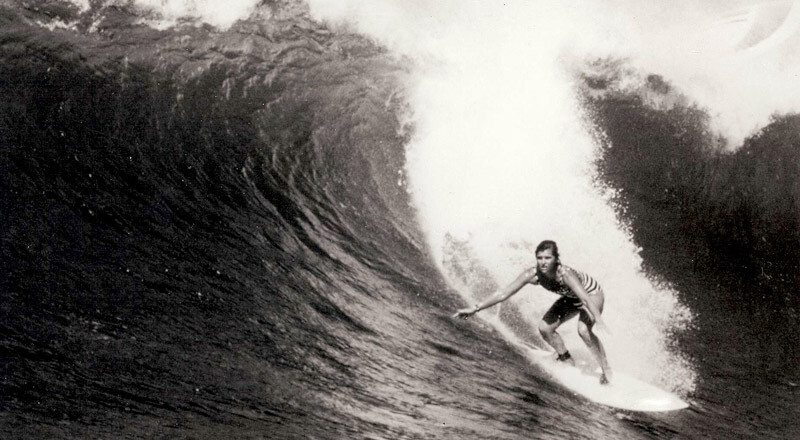 Nancy Emerson, international professional surfing champion, is the originator of the world famous "Learn to Surf in One Lesson" technique. She is a true professional who has placed within the top 10 of every surfing competition she has entered. Nancy has been featured on ESPN, "ABC's Wide World of Sports," "NBC with Maria Shriver," "Sports World," "Eye on LA," "American Adventure" and Kevin Costner's "Waterworld." She has also acted as a stunt double for TV's "New Gidget Show." But mostly, she loves to teach and is an experienced surfer who can give you the knowledge and confidence to enjoy the real surfing experience! 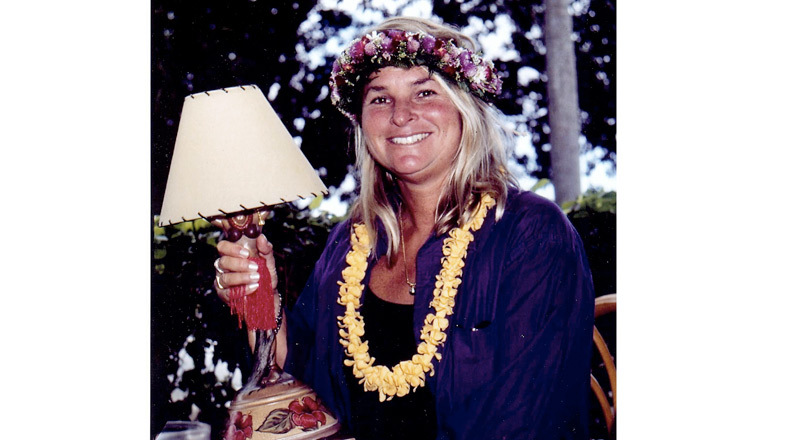 Nancy Emerson, a former international surfing champion with 37+ years teaching experience, which all started on the island of Maui. 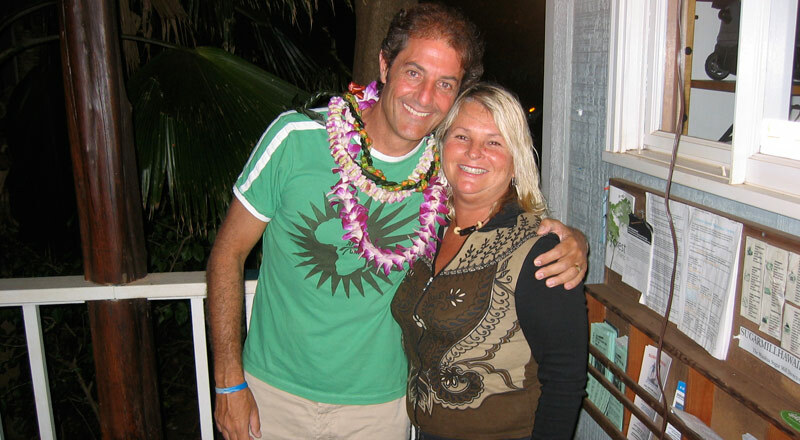 Nancy created Hawaii surf lessons that cover the total surfing experience. Along with her team of accredited instructors, Nancy and her surf coaches will teach you how to surf, the basics of form and technique, as well as water safety, ocean awareness, wave conditions and surf etiquette in the one simple surfing lesson that has set past champions on their path to success. Nancy Emerson School of Surfing or at her Gold Coast Australian School of Surfing in Queensland Australia. You won’t get a better surf lesson and you won’t get better results anywhere else in the world. With Nancy Emerson’s patience, holistic healing, teaching styles and competitive surfing history, Nancy brings a current competitive surfer to new levels of success with her coaching style. 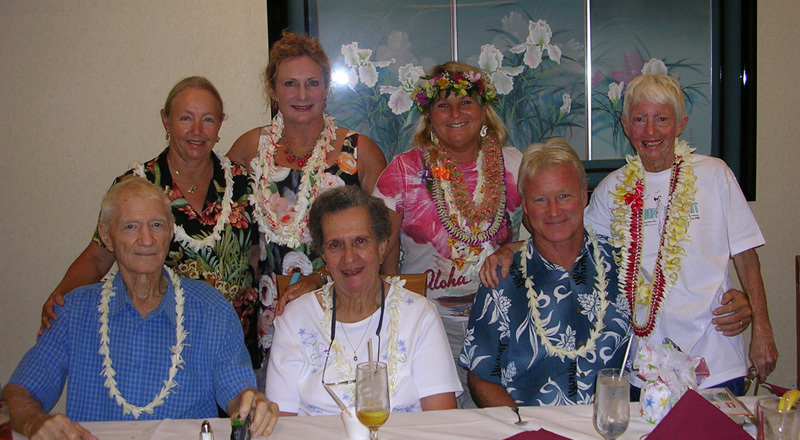 While Nancy has offered surf schools and surf clinics around the world over the decades in places such as all the Hawaiian Islands, Japan, California, Florida, Dominican Republic, Mexico, Namotu in Fiji, Marshall Islands and Samoa. 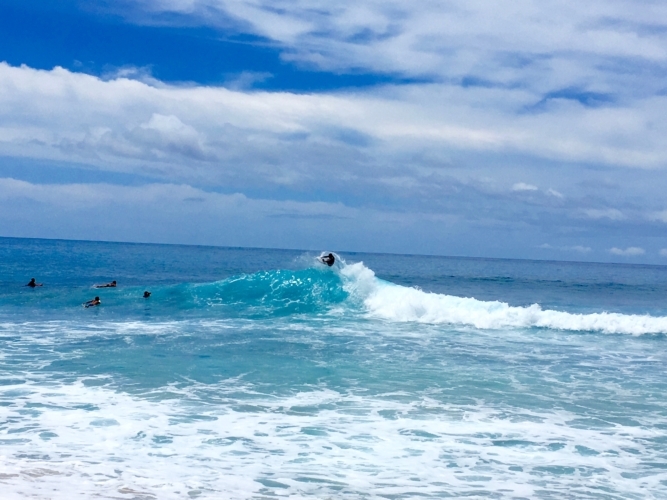 Currently you can make surfing reservations with Nancy Emerson in Hawaii on Oahu at Nancy Emerson School of Surfing and on the island of Maui. Plus you can come Down Under on the Gold Coast to Nancy’s surf school The Gold Coast Australian School of Surfing in Queensland, Australia. Nancy Emerson School of Surfing on Oahu and on Maui Nancy’s 1st surf school Aloha Surf Clinics with Nancy Emerson are amazing opportunity for beginners, surfers who have hit a plateau in their surfing, the elite or pro surfer or for the surfer girls to tune-up your surfing skills, improve your technique, bring your level of reading the ocean and extend how much more FUN you can have surfing. Nancy Emerson invites you to the ultimate surfing experience with the highest quality of making How to Surf EASY, FUN AND SAFE. Commitment to the vision of bringing surfing within the reach of anyone who has the desire has earned her the respect of international legendary surf champions. 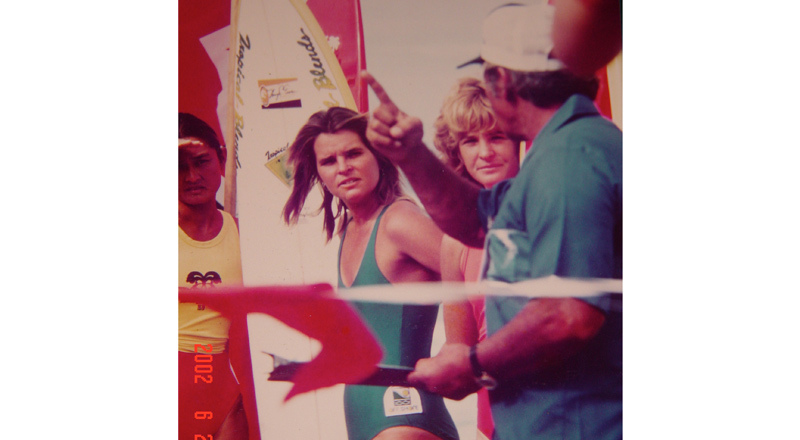 Nancy's reputation as the best has given her the opportunity to teach surfing to many of the world's celebrities. This list includes such well known personalities as: Sunny Garcia (WCT World Champion 2000), Jackie Stewart (Indianapolis 500 winner), Beau Bridges (Actor, Director, Producer), Richard Chamberlain, Elizabeth Lindsley, Stephanie Reynolds, Nia Peeples, Keifer Sutherland, Kathy Lee and Frank Gifford's son Cody, and Maria Shriver just to name a few. This is a great opportunity to have Nancy as your host or one of her wonderful professional instructors work with you! Together you will surf the best and least crowded waves on the Gold Coast, Australia and in the Hawaiian islands. 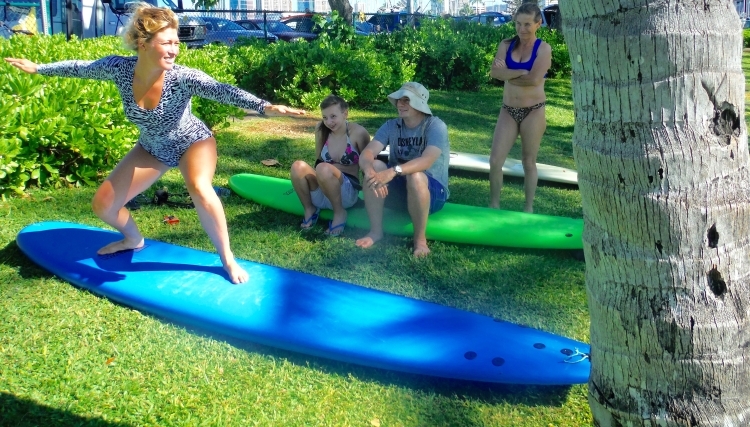 Nancy guarantees that with her teaching techniques you will transform and progress your surfing ability to new heights of confidence and precision. This is based on her positive reinforcements, level of dedication, passionate, patient and sensitive style of coaching and teaching for over 35+ years world wide. Nancy has a keen eye to the subtle aspects of form for the first time beginner to the experienced surfer and is endorsed by the Association of Surfing Professionals.